Ultra lightweight protection that won't get in your way. This low-profile guard provides protection without holding you back. Dense foam backing for impact diffusion and comfort against the skin. Shinguard SizeS: 6.5", M: 7", L: 7.5"
Our Authentic Soccer Shin Guard are light weight and very durable that has foam backing for support. 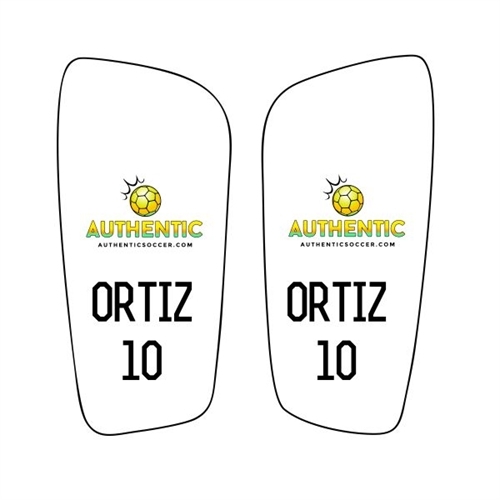 Our shin guards can be customized with your team club or schools logo to show off team pride.